At Methodist Richardson Hematology Oncology Associates, we specialize in the diagnosis and treatment of cancer and blood disorders. We offer comprehensive care and develop personalized treatment plans to meet the needs of each individual patient. 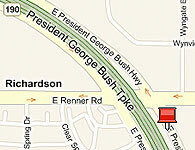 Our office is located at Methodist Richardson Cancer Center. We coordinate with the cancer center and with other specialists to give you access to on-site chemotherapy, radiation therapy, and other clinical support in one convenient location. Through our extensive services and resources, clinical expertise, and compassionate care, we help our patients and their families begin a journey of hope. Read our patient testimonials to learn more about the level of care at Methodist Richardson Hematology Oncology Associates. Texas law prohibits hospitals from practicing medicine. 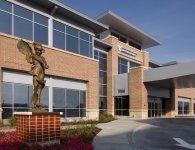 The physicians that practice at Methodist Richardson Hematology Oncology Associates, including Dr. Bibawi and Dr. Trumbly, are independently practicing physicians employed by Medhealth and are not employees or agents of Methodist Health System or Methodist Richardson Medical Center.